InventoryBlock™ provides the current inventory balance for each and every credit and facility for our clients related to any given asset that they own. InventoryBlock™ keeps track of the buys and sells of each facility for all credit agreements the entity is party to. Each trade that is sold will be subtracted from the client’s inventory for that facility. Respectively, each buy will be added to the credit facility they are buying. InventoryBlock™ is dynamically integrated to the trade matching platform and LoanBlock™ whereas when trades close, the balance is instantly updated and available to post which will drive the overall trading process. InventoryBlock™ virtually keeps track of each trade and where the allocations were derived from. 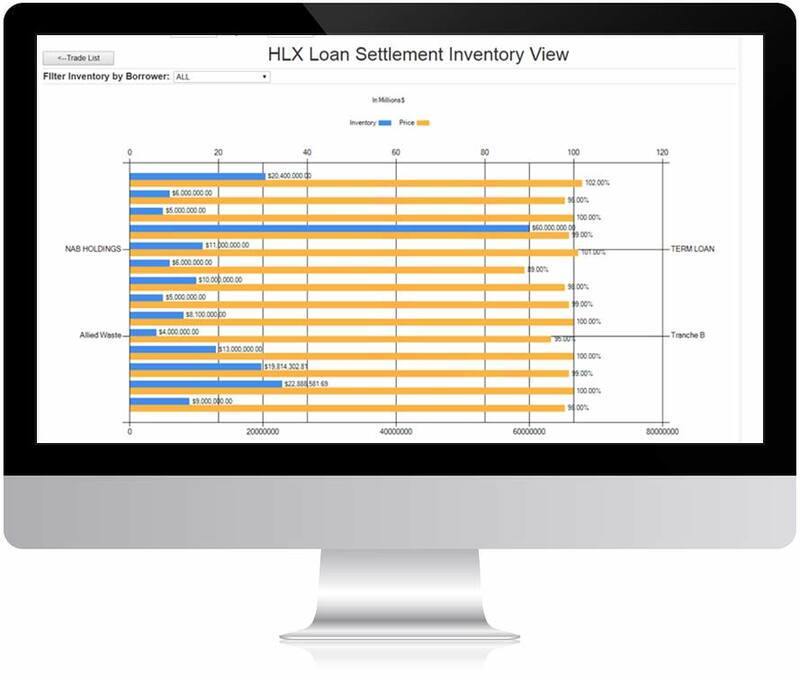 At any point, the clients can log in to the dashboard and review their current inventory and trade history.